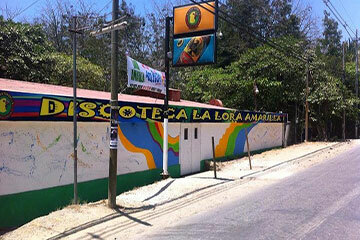 La Lora Amarilla disco bar is just a stones throw away from Kika and stays open late for the best dive bar experience in town. Mix with tourists and locals alike for reggae, trance, live musicians and djs at this indoor music scene. It is the place to go when you’re not ready for the party to end. A new adventure unfolds every night when visiting the beachfront jungle town of Santa Teresa, Costa Rica. From cool kickback lounges to high energy dance clubs you are sure to find the perfect place to enjoy every night of the week. So set out with friends for a night to remember, or not, with a cocktail in hand and wonder in your eyes.